Accumulating snow with some lake enhancement in spots expected to impact travel on the Midwest on Monday. A robust Alberta Clipper-like system will produce a broad area of 3-6" through the Great Lakes. 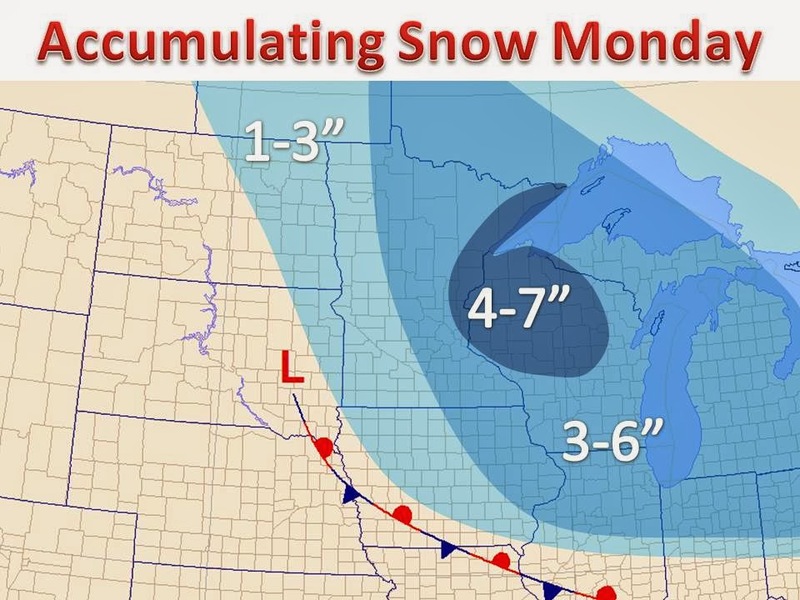 A smaller area of up to 7" is also likely in northwestern Wisconsin. Furthermore, the western shore of Lake Superior may see near 8" of snow with some lake enhancement working in. The snow will depart by late Monday, wind will not be a major problem this time around. On the right are the latest winter weather headlines from the National Weather Service. Very broad area of winter weather advisories are in effect for multiple states, including some winter storm warnings in the pink for areas in the upper Mississippi River Valley, all of which are for heavy snow in a short period of time. Further south winter weather advisories are also in effect for a wintry mix of sleet and freezing rain. On the left you see images of a radar simulation ran off the 12z NAM computer model. Most areas will see the snow during the morning hours. 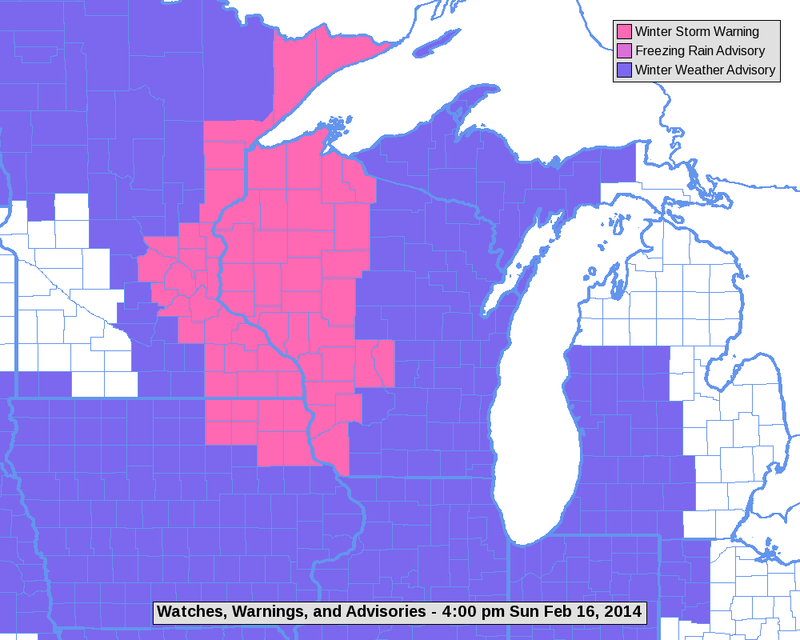 This will make for a dicey commute for cities such as Minneapolis and Madison. The snow should push out by the late afternoon. Also notice the darker greens embedded in the wide snow band.